No-one will be allowed back in the dismantled "Jungle" camp at Calais, now that it has been cleared of thousands of migrants and refugees, says French President Francois Hollande. The final shelters were destroyed on Monday, after an operation to move some 7,000 people to centres elsewhere in France. Mr Hollande praised the operation as "dignified but firm and efficient". Some 1,500 unaccompanied minors were staying at a temporary centre, he said. But they would be taken to dedicated reception centres, where their cases could be investigated individually by UK officials, he told French newspaper La Voix du Nord. Reports said they and another 300 women and children staying at another migrant reception centre in Calais would leave the town on Wednesday morning. 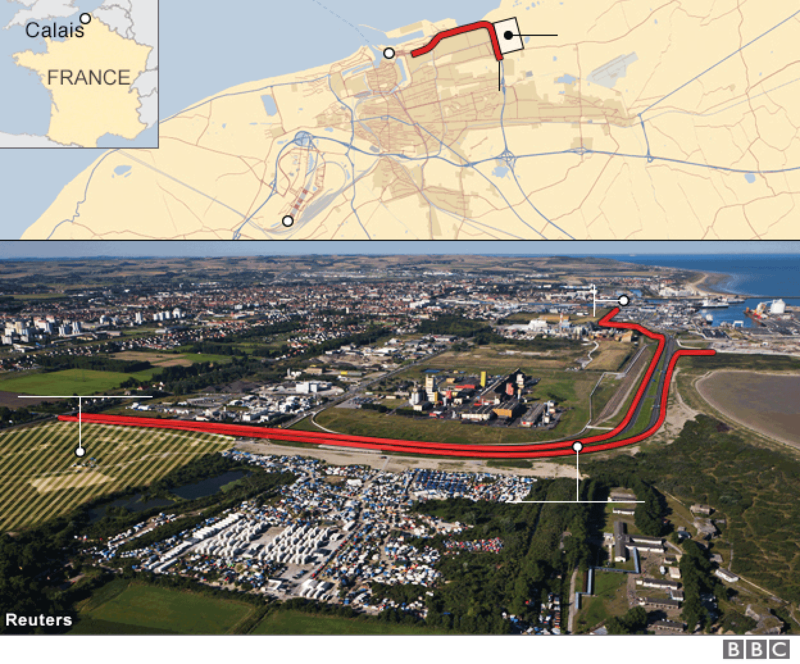 The sprawling Jungle site had long been a staging post for irregular migrants fleeing war and poverty, who were trying to cross the Channel to the UK. Mr Hollande said that, in less than a year, 13,000 people who had travelled to Calais had been taken in as refugees in France. The camp has for years been a source of friction between the French and UK governments. The UK has taken in some 200 children in recent weeks and is expected to take in hundreds more. "Those who don't go will be looked after by child welfare services across France," he said. What next after the Jungle? Praising the people of Calais for their handling of the migrant crisis over a long time, the president made clear that the camp would not be returning. 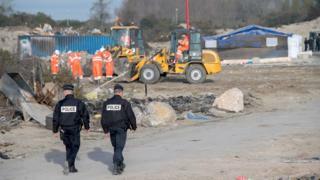 "It's been cleared, it will be made secure and no-one will be able to go back there," Mr Hollande added. However, there were unconfirmed reports that some of the young migrants had already left a centre in western France with the aim of heading back to Calais. Half of the 22 minors who had been taken to a holiday camp in the Charente-Maritime region had already left, Sud-Ouest website reported. France respected the right to asylum, he insisted, but stressed that border controls had stopped 49,000 people crossing into the country since last November. While many of the migrants from Calais have been moved to reception centres across the country, numbers have swelled at makeshift camps in Paris too. Part of a tent camp was cleared on Monday near Stalingrad metro station in the north-east of the capital. Police have raided the camp some 30 times in the past year. The government is facing calls to dismantle the Stalingrad camp completely, because some 2,000 migrants have been sleeping rough there.